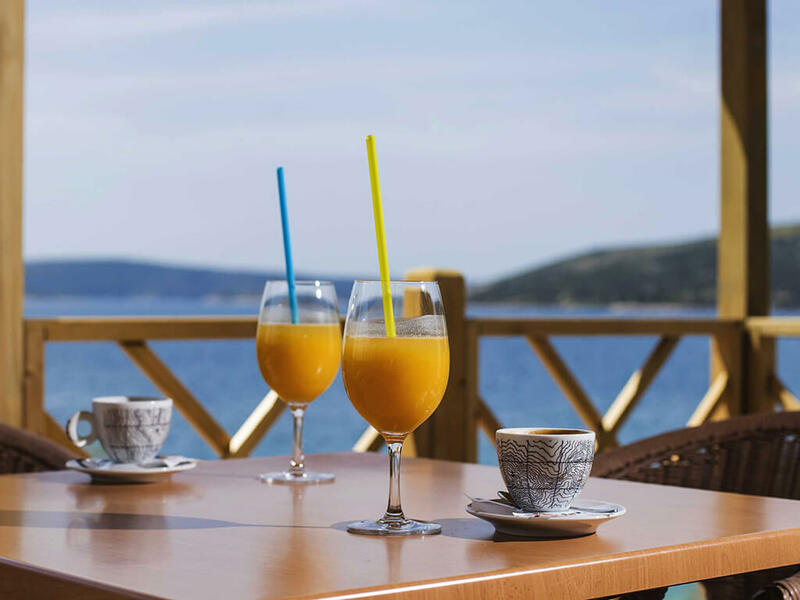 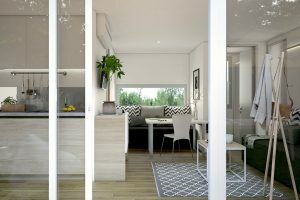 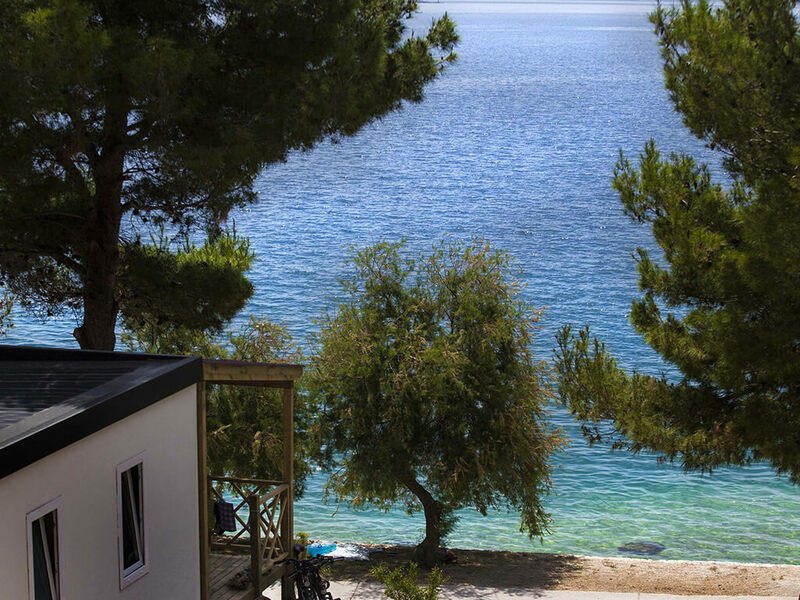 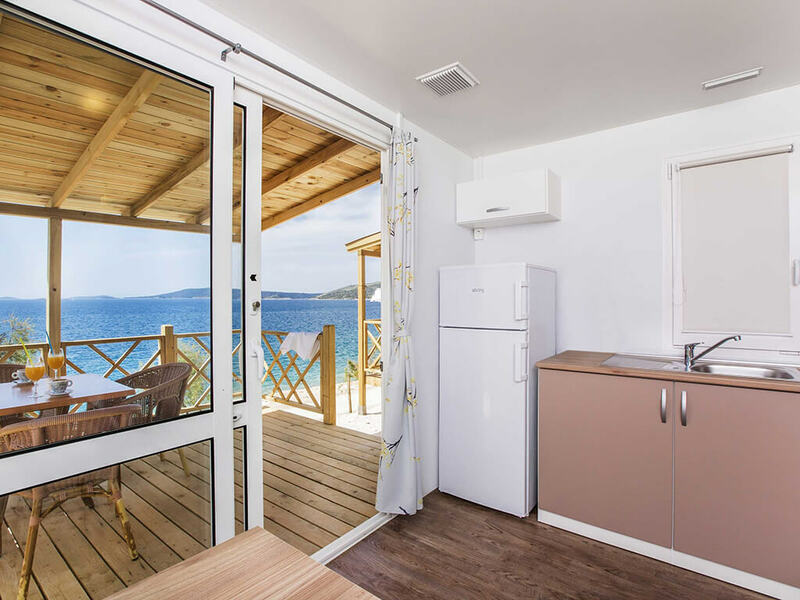 Close vicinity of the beach and a sea view from a covered terrace are the main features of the mobile homes in Trogir. 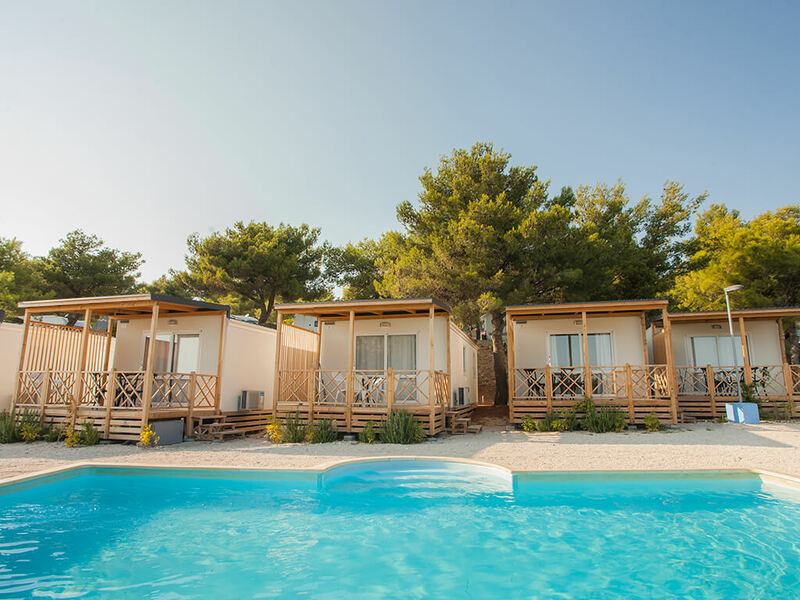 Apart from fully equipped mobile homes, numerous campsite facilities will also make sure you have an unforgettable summer holiday. 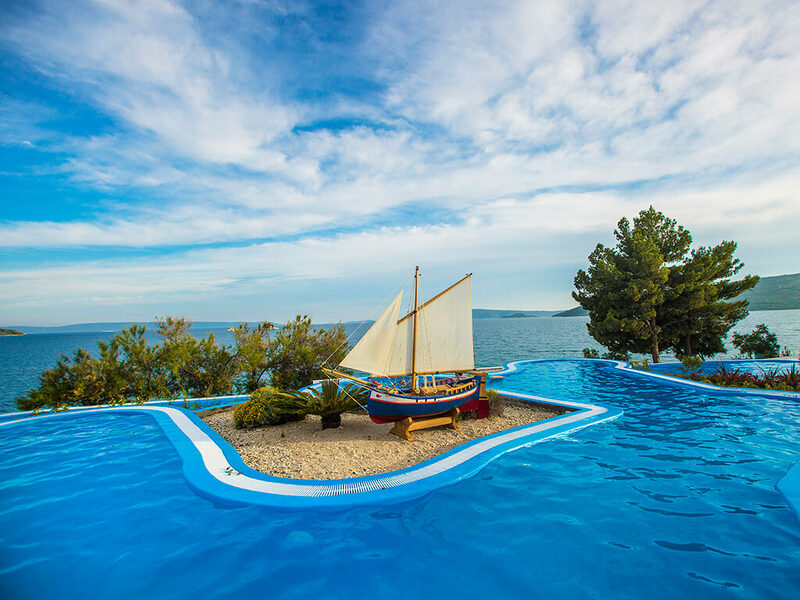 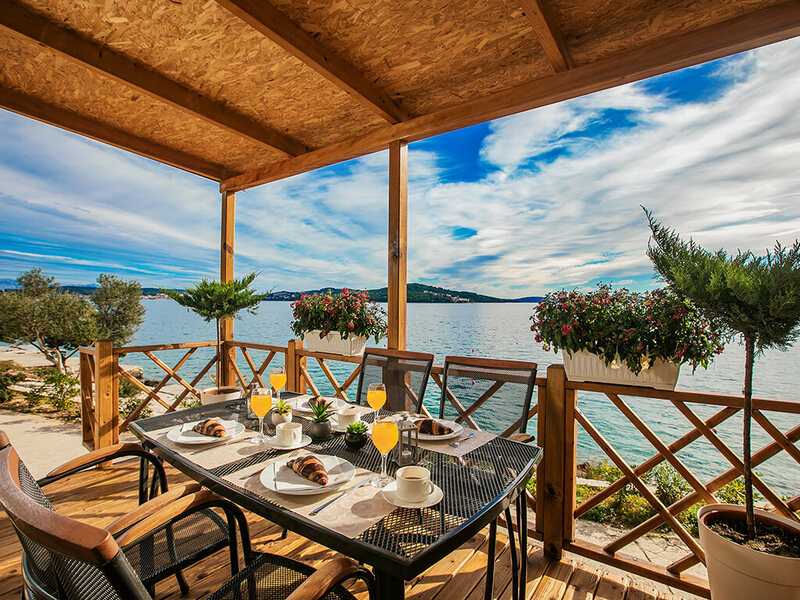 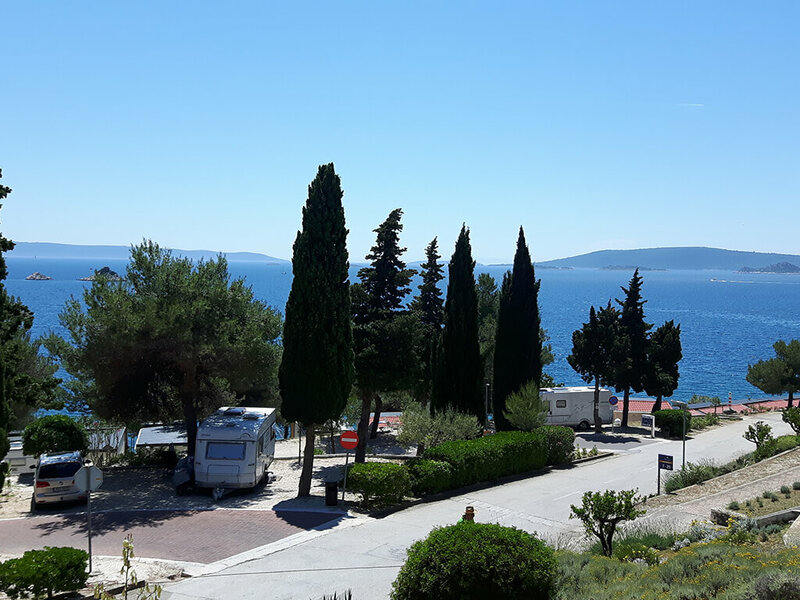 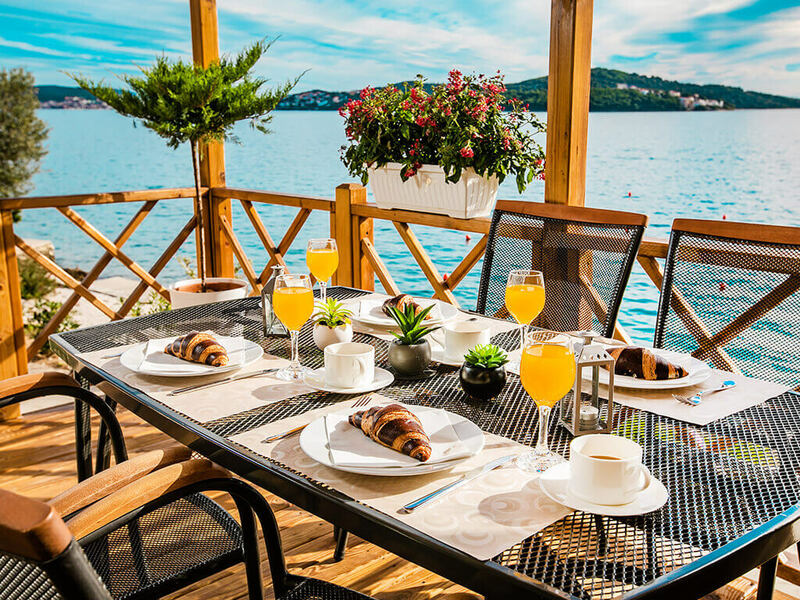 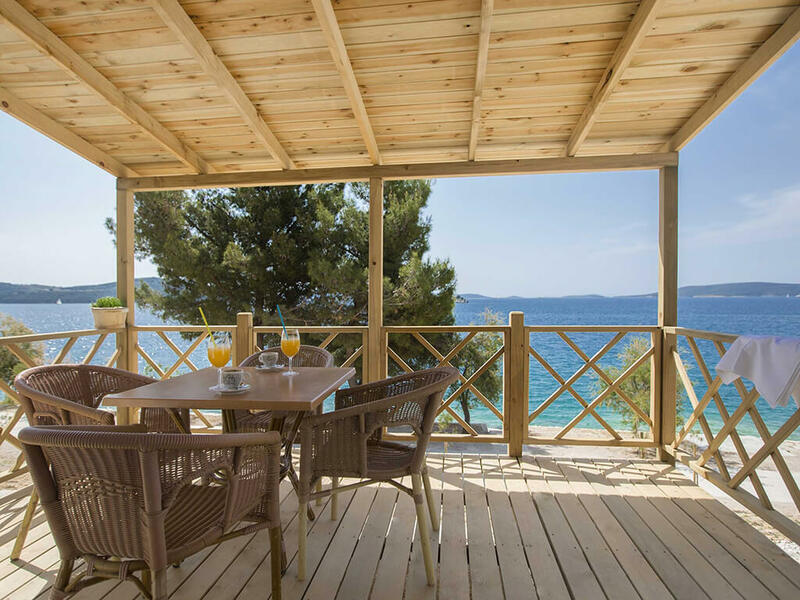 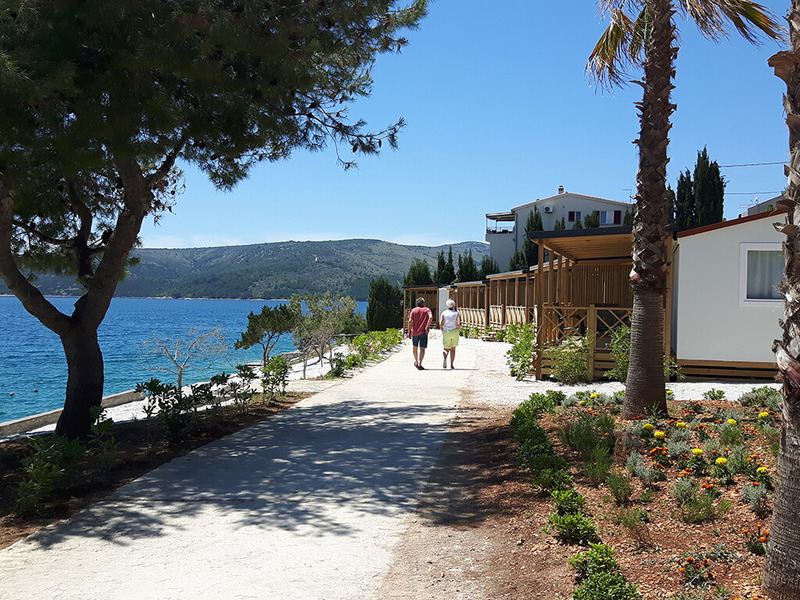 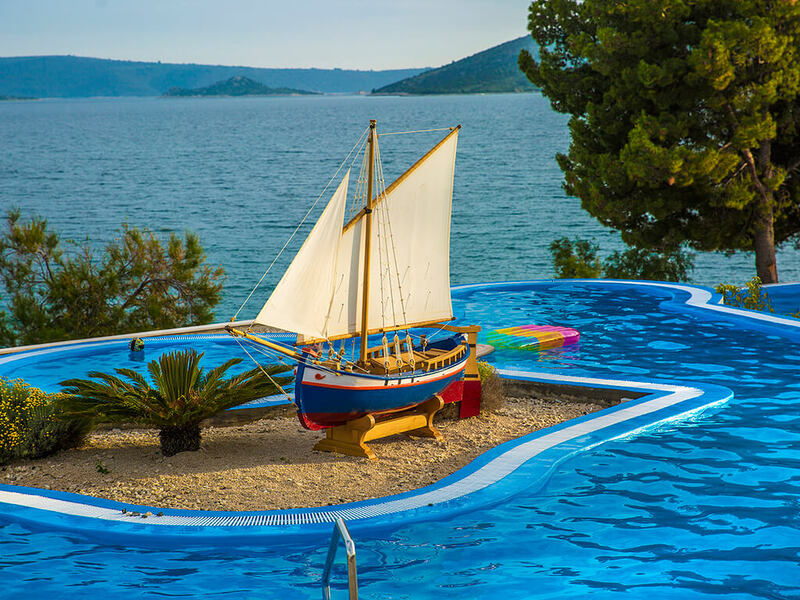 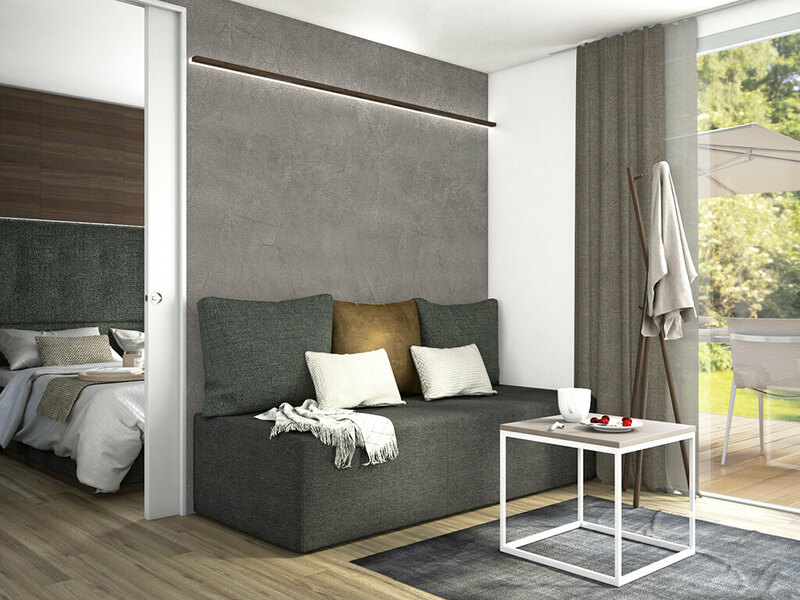 The mobile homes in Trogir are special for their attractive position by the sea shore, due to which a view of the sea and nearby islands is guaranteed. 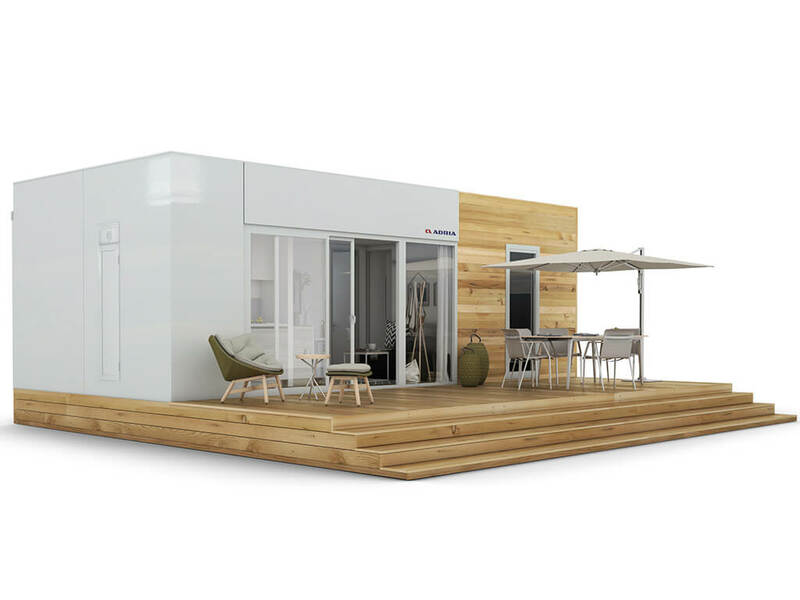 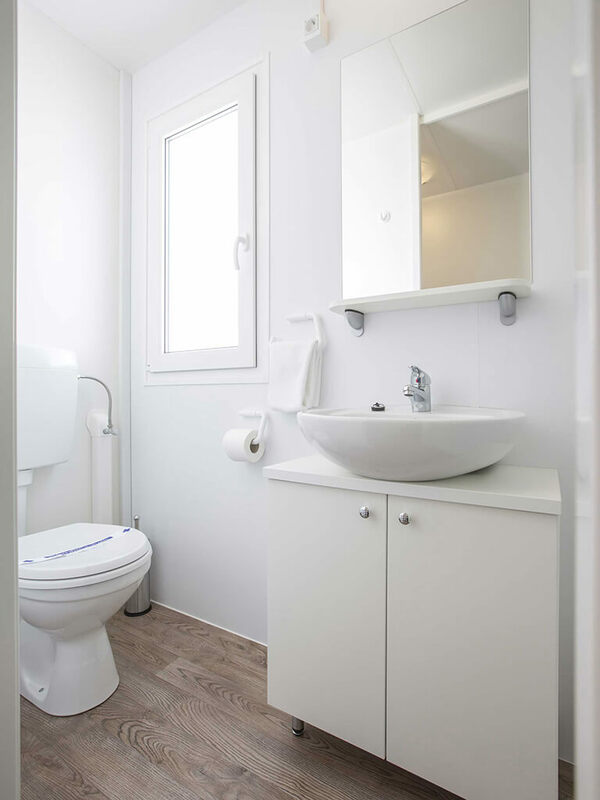 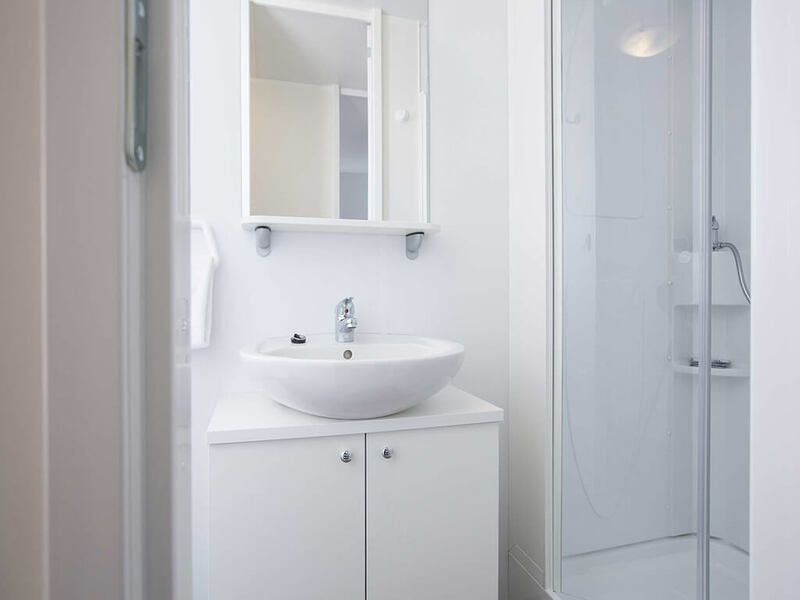 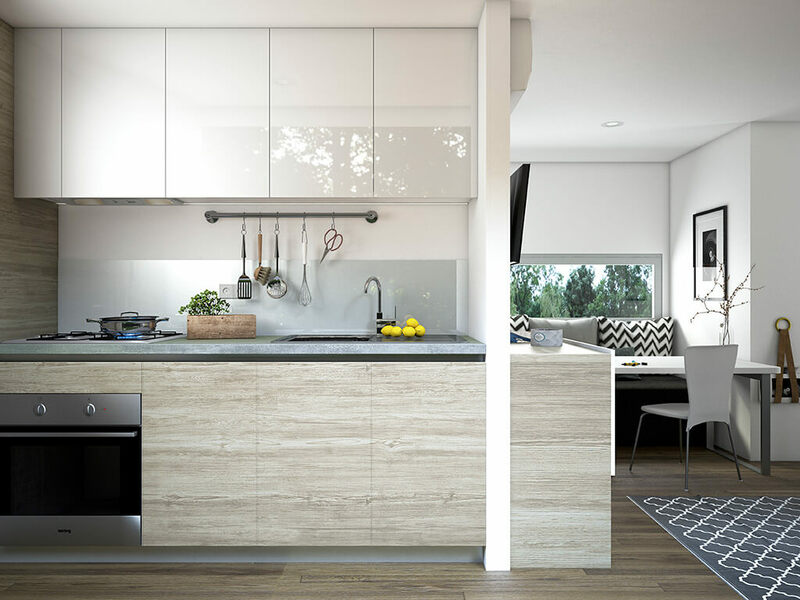 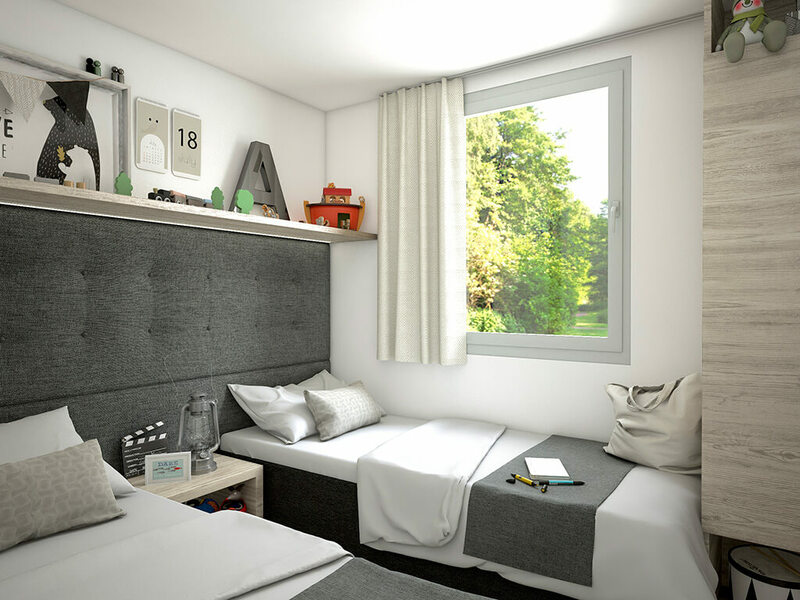 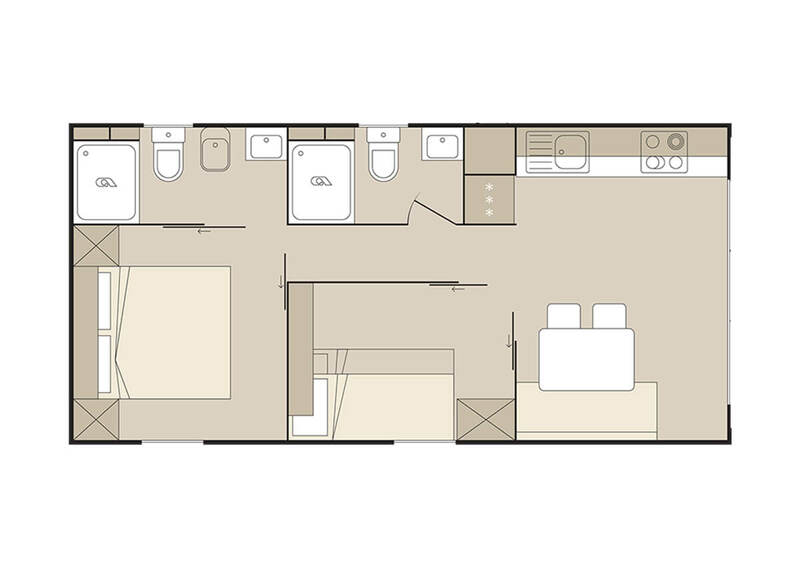 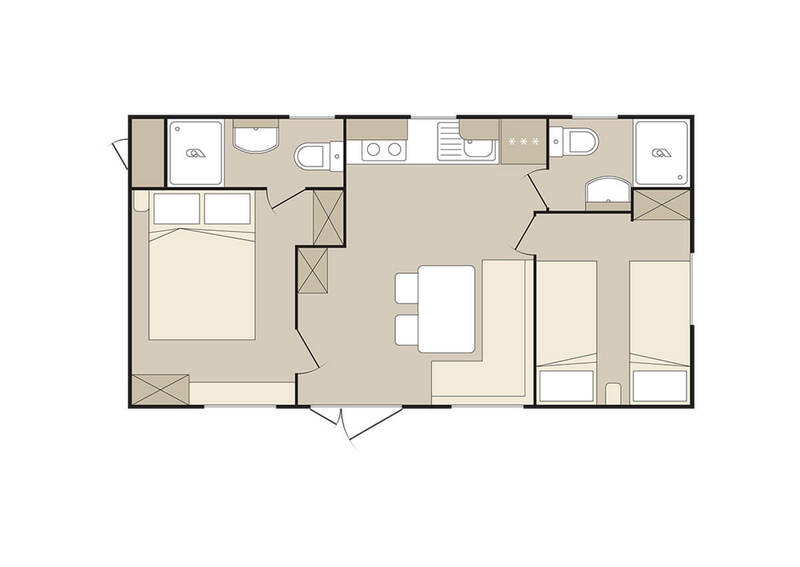 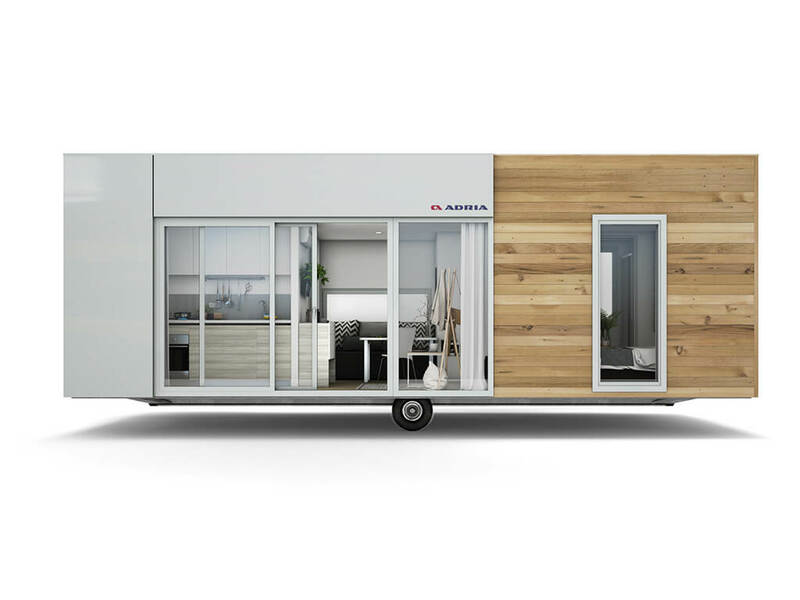 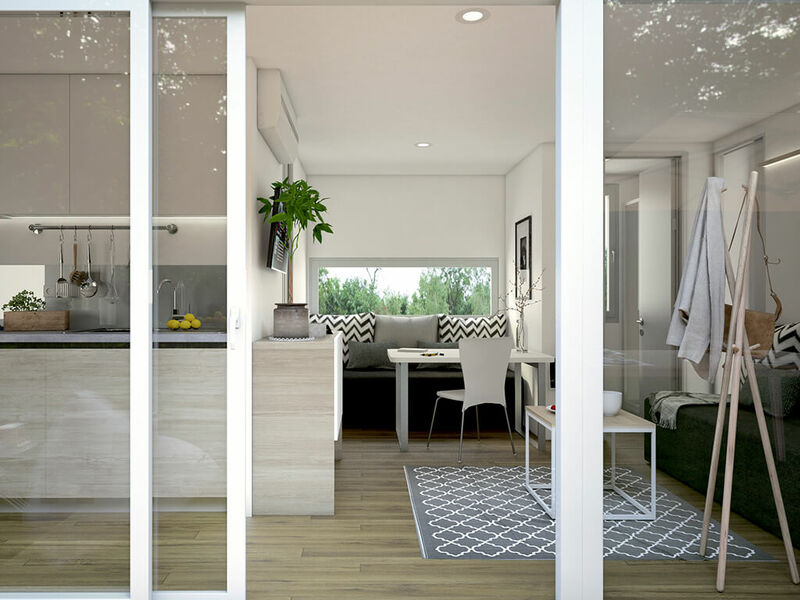 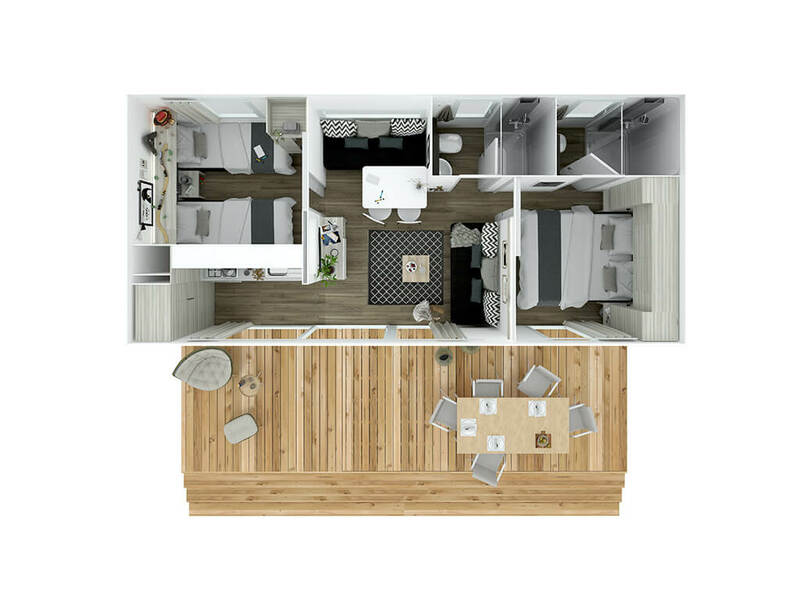 Fully equipped, these mobile homes dispose with two bedrooms, two bathrooms and a sitting room and kitchen in one. 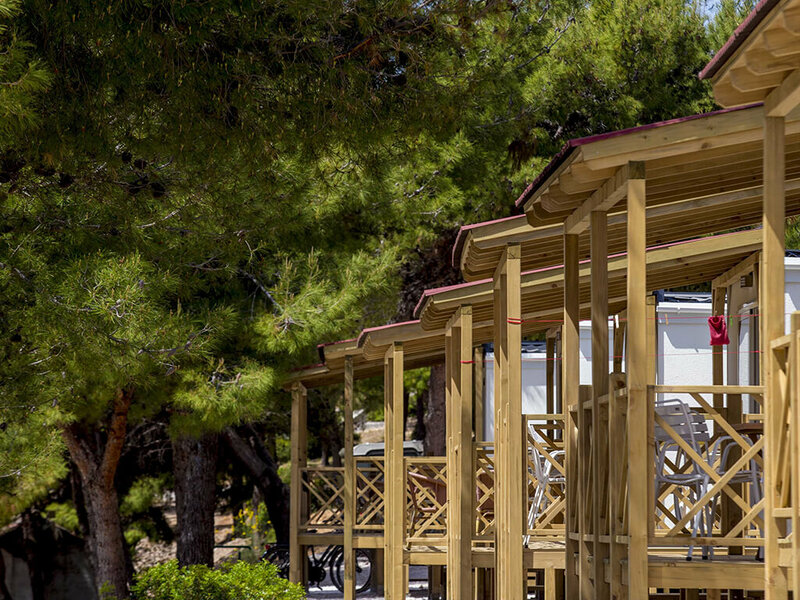 Some of the mobile homes also have a completely enclosed wooden terrace, ideal for stays for families with young children and pets. 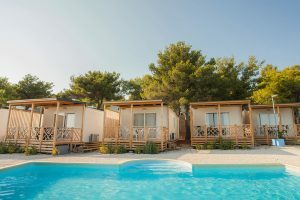 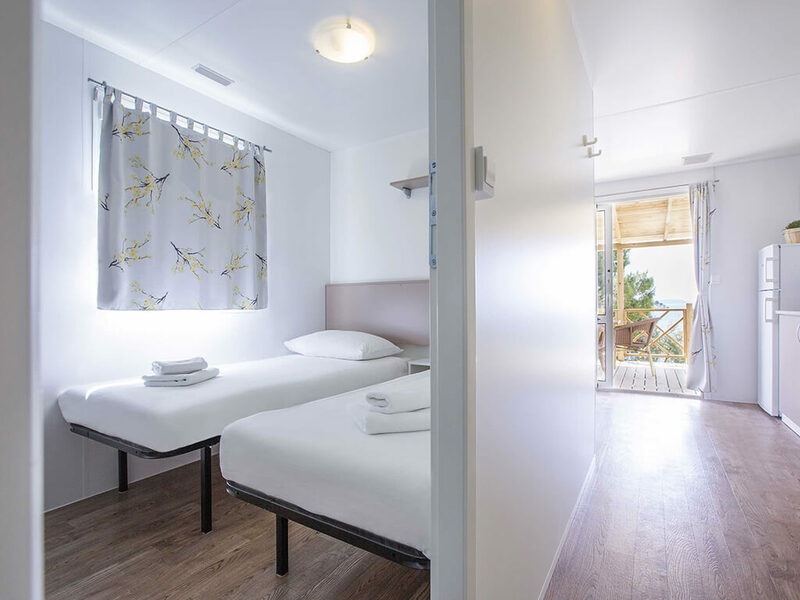 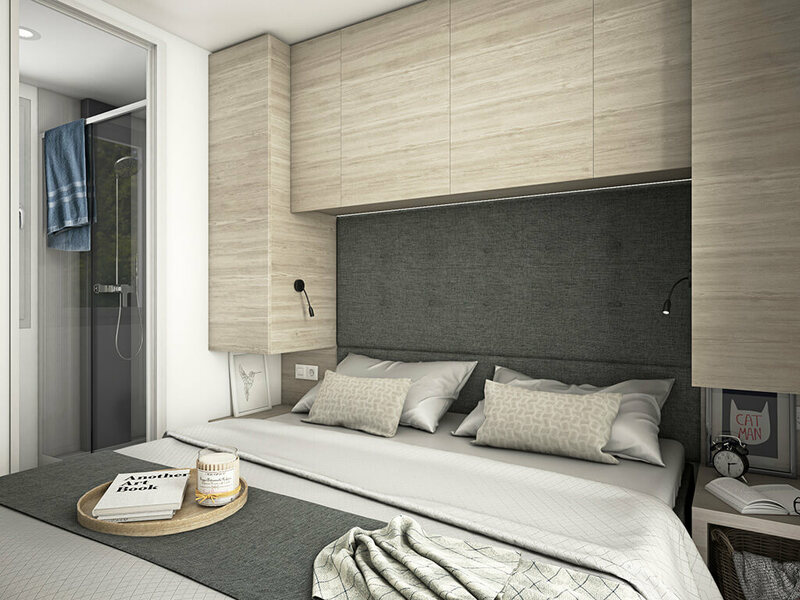 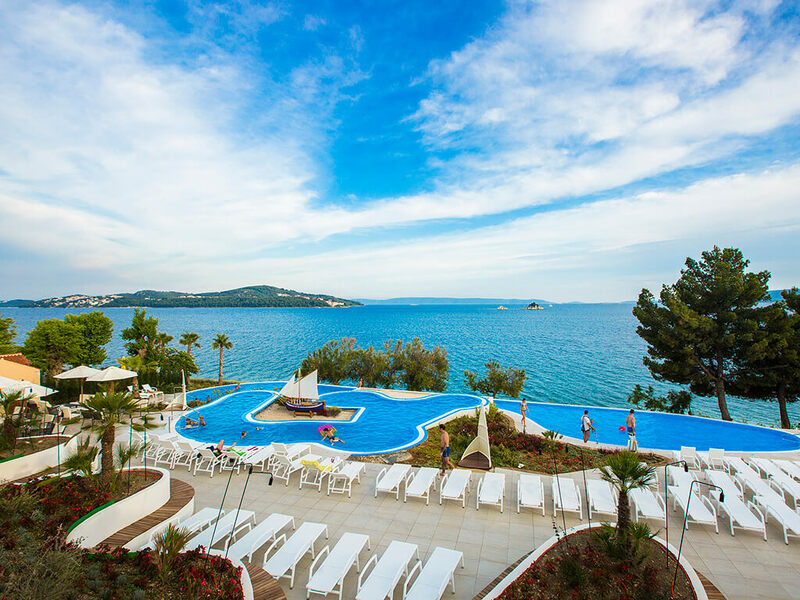 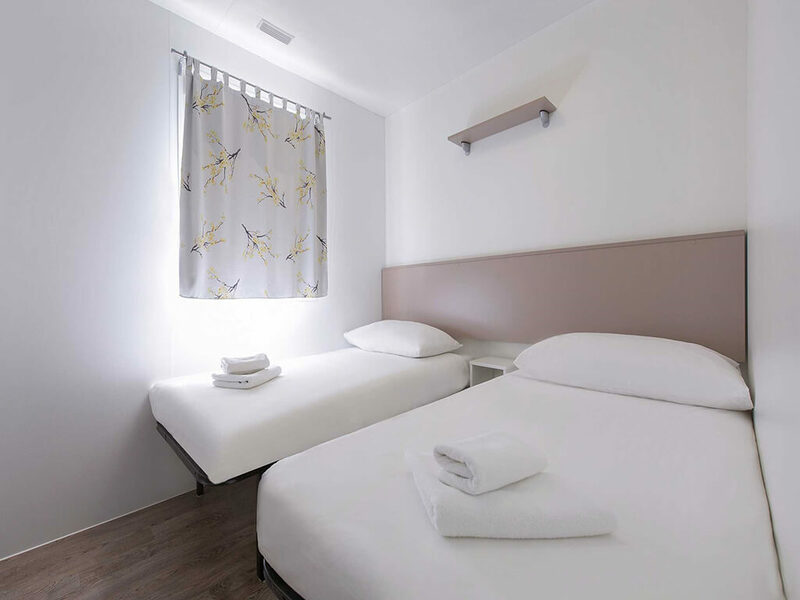 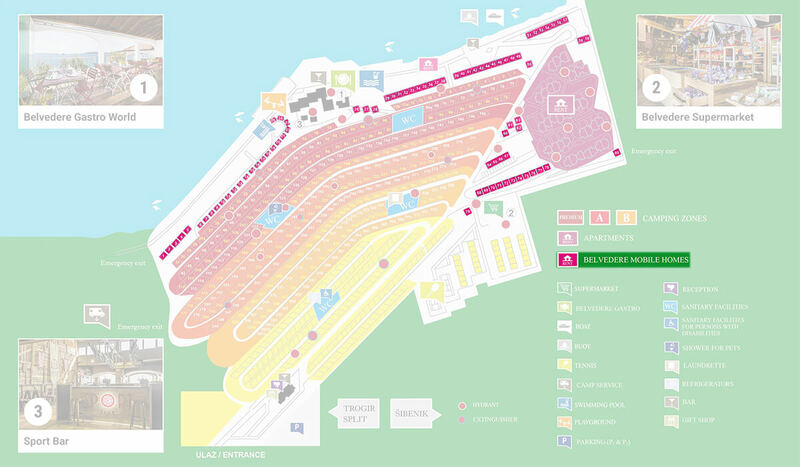 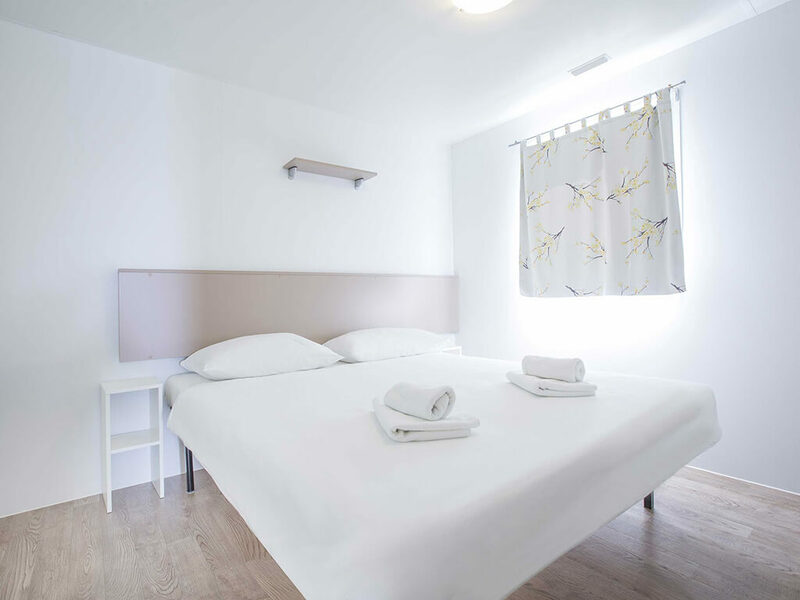 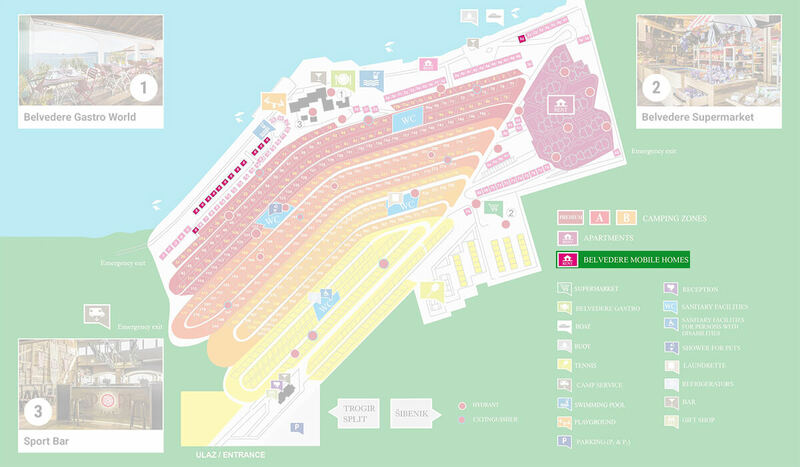 Additional benefits of the campsites where they are located also feature swimming pools, animation activities, restaurants and bars and a possibility of ordering breakfast.